This content will walk you through solving a problem with the Galaxy S5, in which the device cannot make voice calls. Let's get started by determining the possible causes until the main issue is resolved. Be sure to test if you can already make voice calls after performing each of the following procedures, to see if the problem is resolved. If you still can't make voice calls, then proceed to the next method. You cannot make any voice calls if your phone if your phone is not connected to a network. In this case, you we suggest you manually select a network. 1. Slide your finger down the Home screen display starting from the top edge until the quick panel shows. 2. From the quick panel display, tap the Settings icon (wheel-like icon) located on the upper-right corner of the screen. 3. Scroll to and tap More networks under Settings. 4. Tap to select Mobile networks from the given options. 5. Scroll to and tap Network operators under Mobile networks to continue. 6. Allow your device to search for available network within range. 7. Select a network (manually or automatically). For manual network selection, tap on the network you want to use. You will then be prompted whether you have access to the network you've selected or not. Just follow the onscreen prompts to complete the process. For automatic network selection, all you have to do is to tap on Select automatically, under Available networks. Your phone will then automatically select a preferred network to use. 8. Now press the Home key to go back to the Home screen. This method may only be applicable depending on your carrier's requirements. For example, vodafone customers may have to turn off their own caller identification if Caller Line Identity has not been activated in their price plan. If you are a vodafone subscriber and you're having the same problem with your Galaxy S5, it is possible that Caller Line Identity has been turned on in your price plan and you're attempting to make a call with your caller identification shown when roaming. As a result, your call won't go through when roaming. 2. In the Phone dialer screen, tap on the menu icon (three-vertical-dots icon) located on the upper-right corner of the screen below Contacts. 3. Select Settings from the given options. 4. Select Call under Settings. 5. Scroll to and tap on More settings to continue. 6. Wait for a moment until the current settings are shown. 7. Select Caller ID from the given options. 8. When prompted, tap on Hide number to turn your own caller identification off. If you want to turn it back on later, just tap on Show number. Press the Home key to go back to the home screen. Your own caller ID is now disabled. 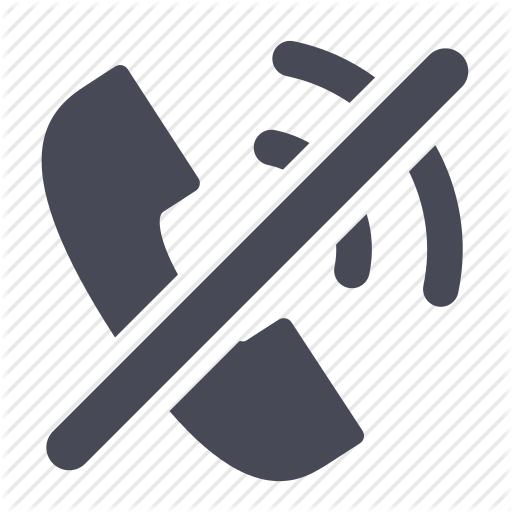 In some cases, voice calls won't go through if you are out of range of your carrier's network, and roaming service has been blocked in your plan. Incoming calls also won't go through in this case. To ensure this is not causing the problem, please contact your carrier and verify if roaming service has been blocked in your plan. Also verify any other aspects in your account that may possibly result to this issue. Also verify if your number suspended. Generally, you will be informed if your number is suspended when you want to make a call. But you can always ask about it, just to make sure it's not barring you from making calls. We therefore suggest contacting your carrier's customer service on this matter. If you are getting little or no network coverage, your phone can't make calls. Your options would be to check your carrier's network map and ensure you're within the coverage area when trying to make the call or try again later, when your phone is already getting good network coverage. Some carriers are offering signal booster apps to give you strong phone coverage throughout your building, thus you can take advantage of full mobile strength. Vodafone, for instance offers its Sure Signal service, which does similar task (for a few extra dollars on your monthly bill of course). Ask your carrier if they are offering any service like this. This method is applicable if you manually select a network or enabled manual network selection on your phone and the selected network is not available. Please note that you must be within range of the selected network to make a call, if you manually select a network for your device. If the network is not available, then turn on automatic network selection instead. (Just refer to the above-mentioned procedure in selecting a network automatically). You will not be able to make or receive calls if flight mode is enabled or turned on. So turn off flight mode on your device. The quickest way to do this is by pressing and holding the on/off key, and then press Flight mode to enable/disable the feature. (It has to be OFF) for you to make calls. When you're done disabling Flight mode, press OK. If the problem only transpires when you're trying to call a specific number, then it is possible that there might be some errors at the receiving end. To determine if this is the case, try to make a call to another number. If you still cannot make a phone call after completing all the aforesaid methods, please contact your phone carrier and escalate the issue for further troubleshooting and recommendations.